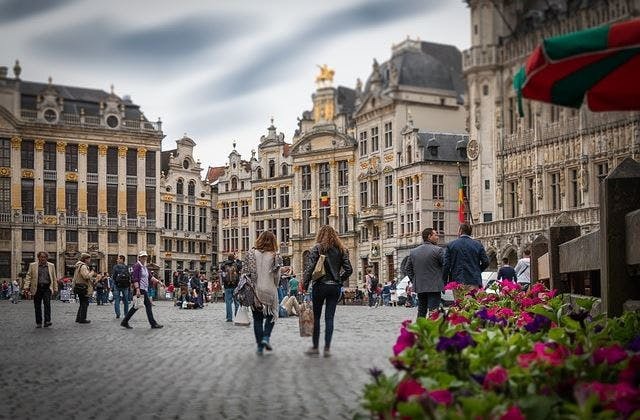 Cheap Flights to Brussels, Belgium. Return Flights. The IATA airport code for Brussels is BRU. Brussels has the Coordinated Universal Time adjustment of 3600. Brussel-Nationaal-Luchthaven at Zaventem is the nearest train station to Brussels airport. 55 hrs 10 mins is the slowest trip from Melbourne (Tullamarine) to Brussels. @JaneyGodley I’ve booked flights to Brussels on the 30th, wish me luck ? ?